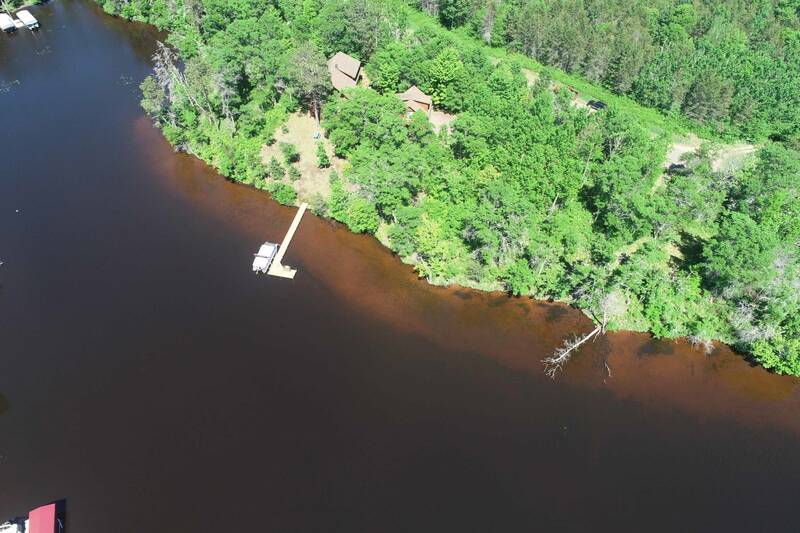 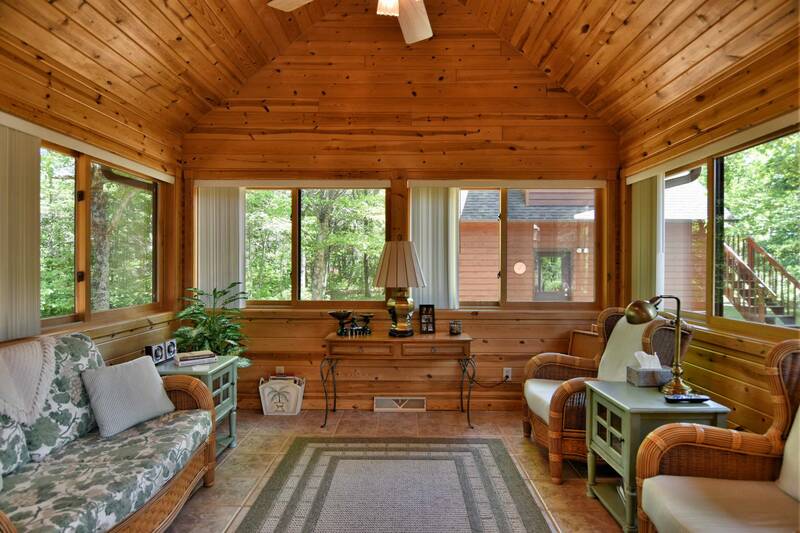 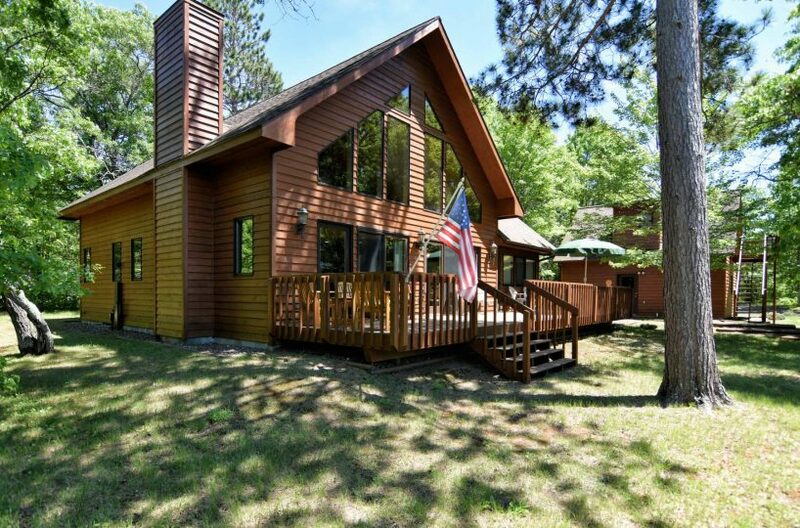 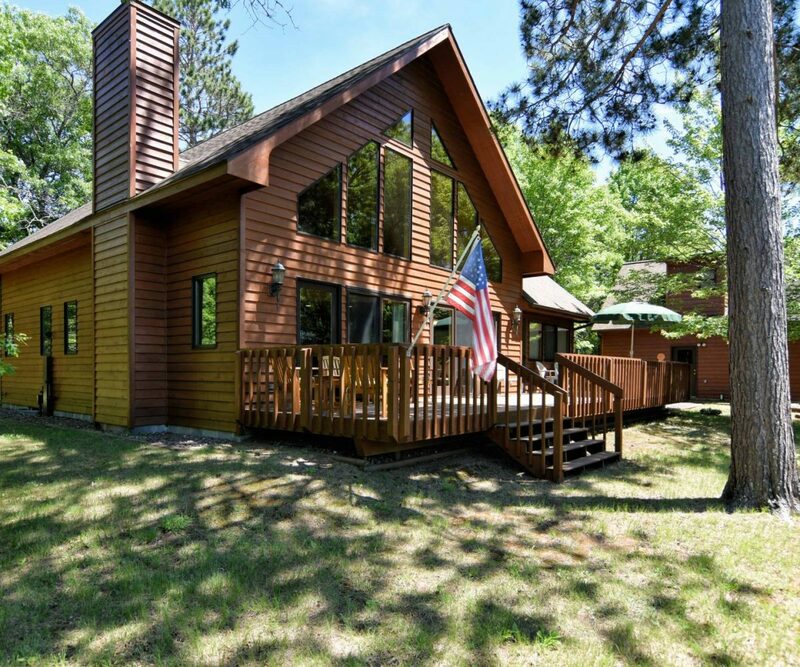 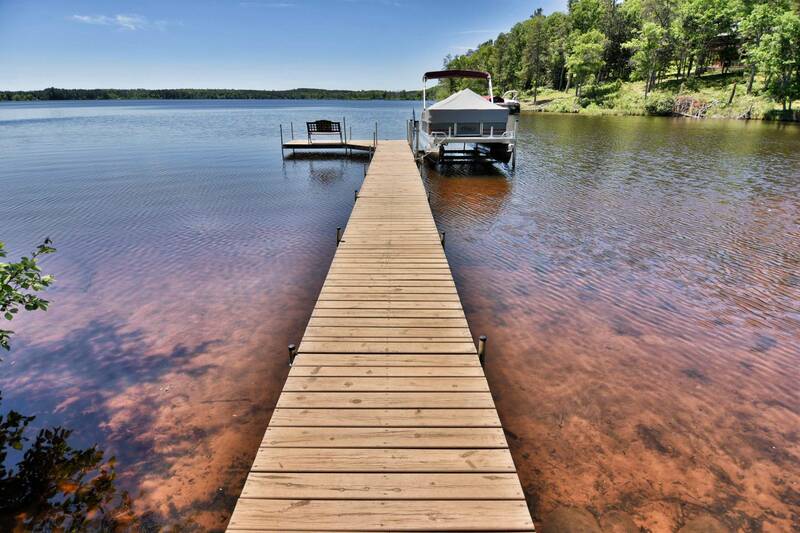 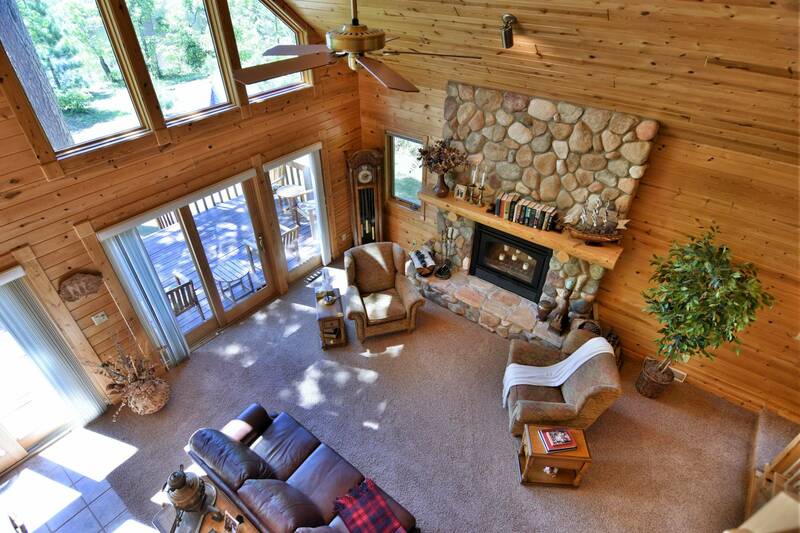 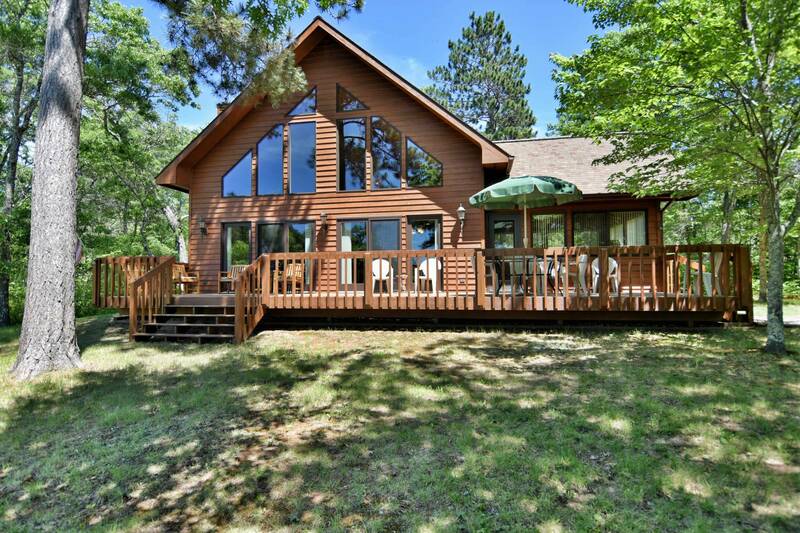 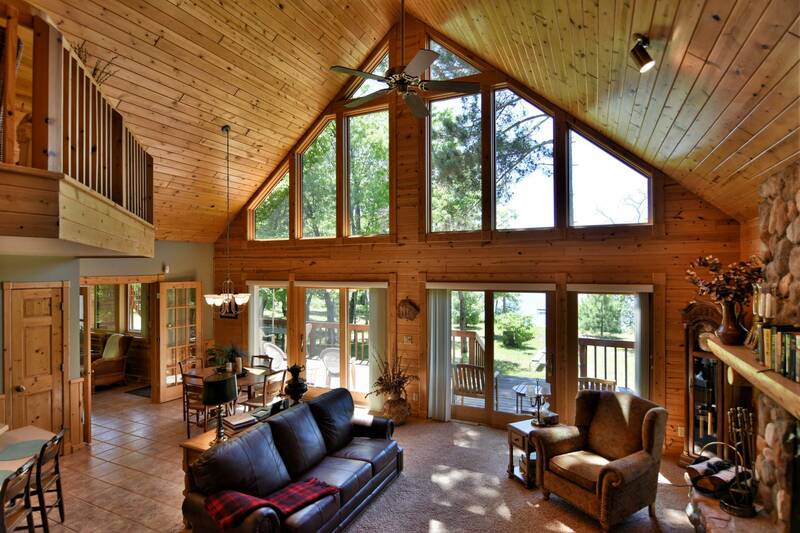 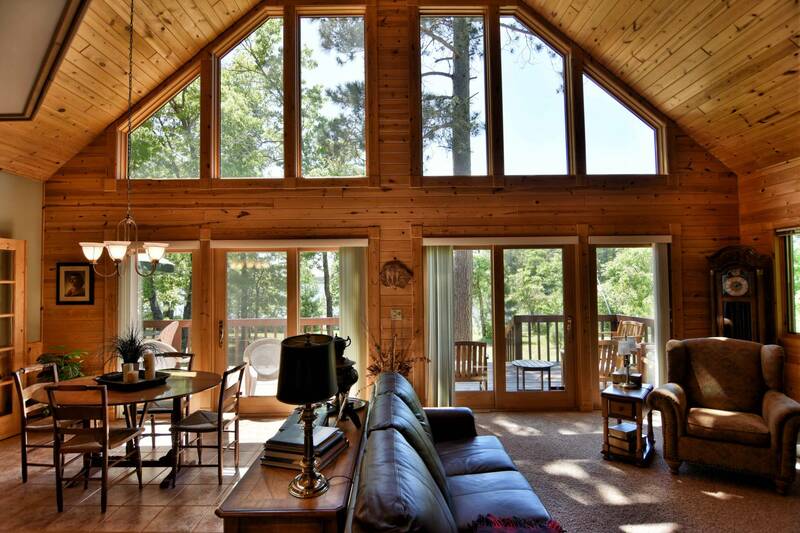 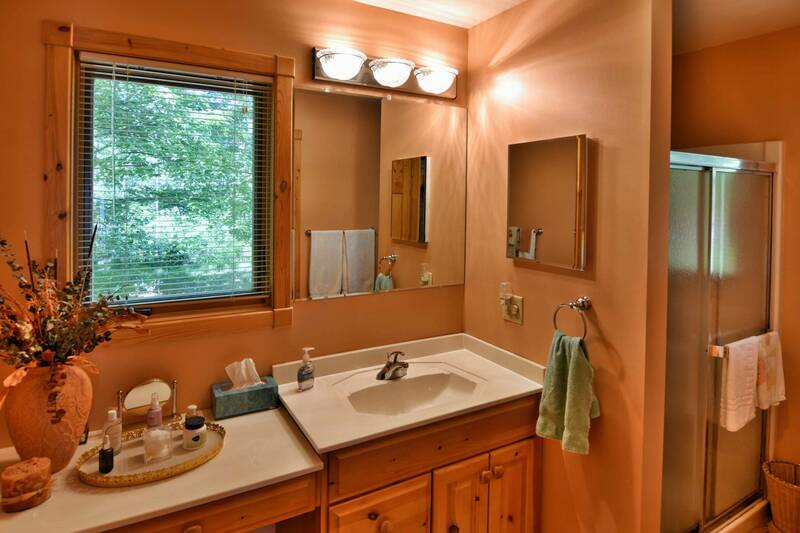 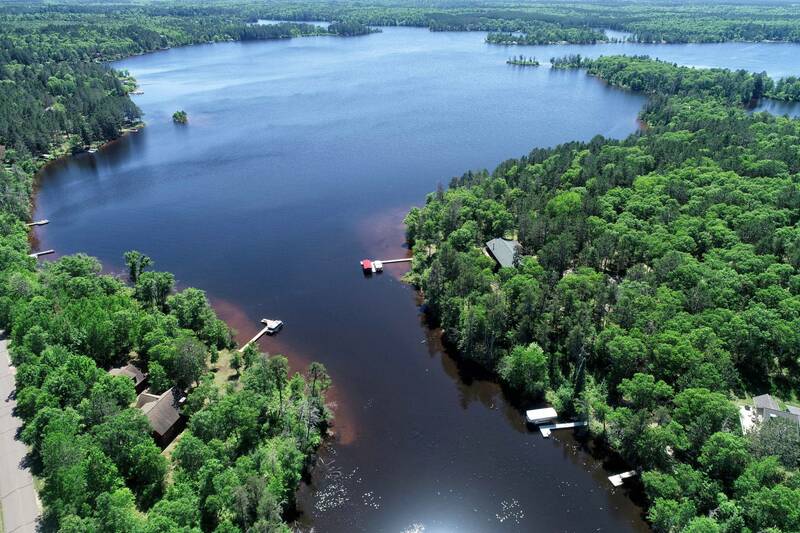 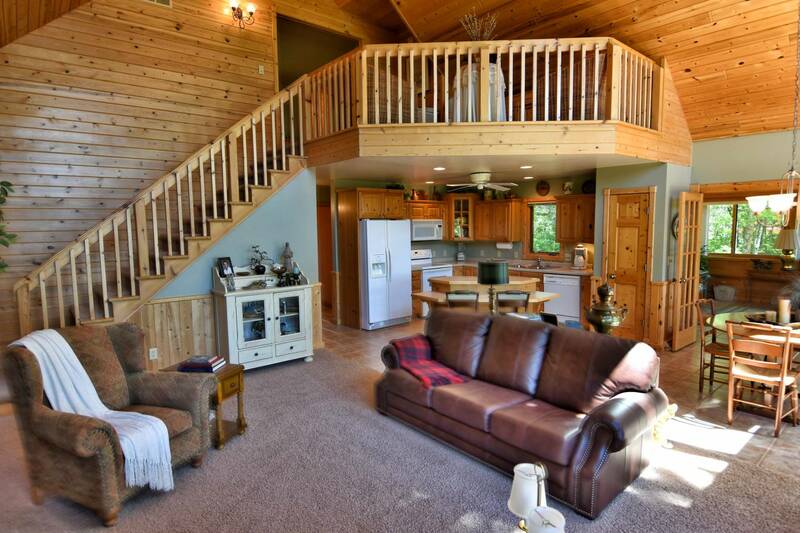 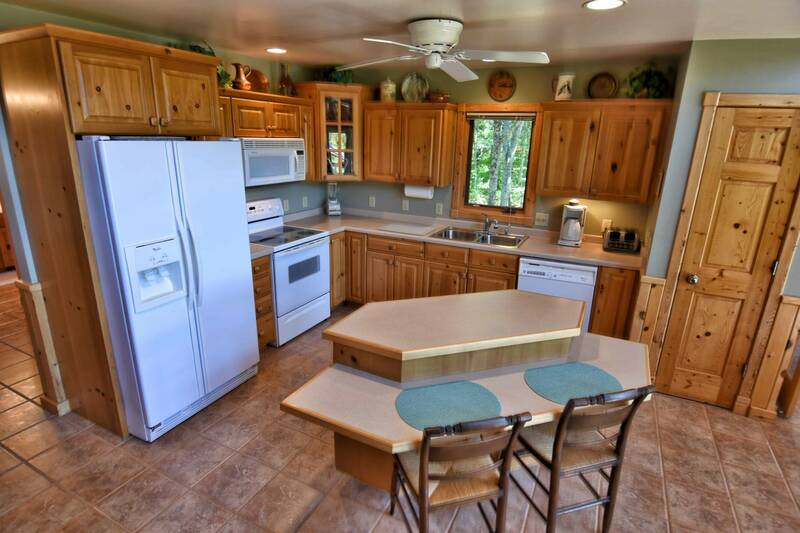 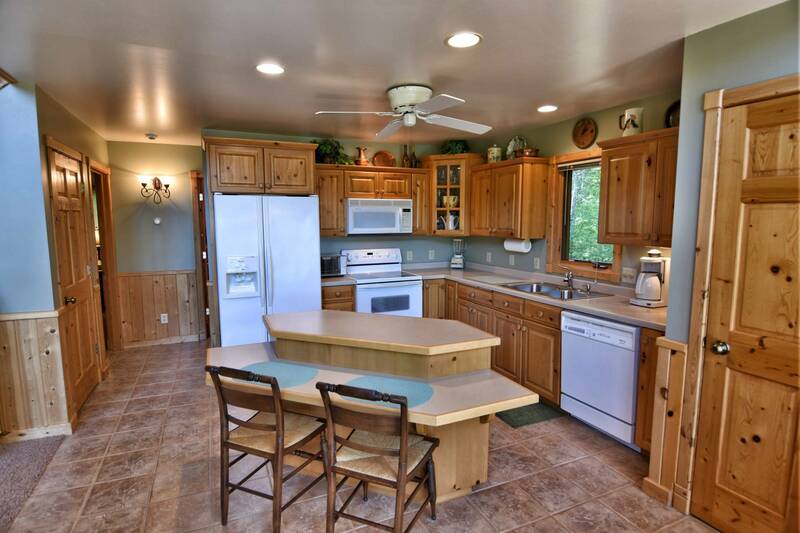 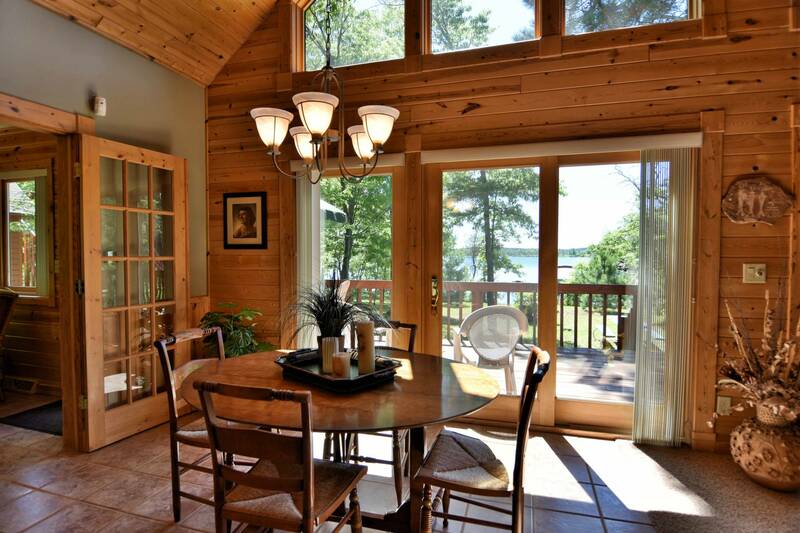 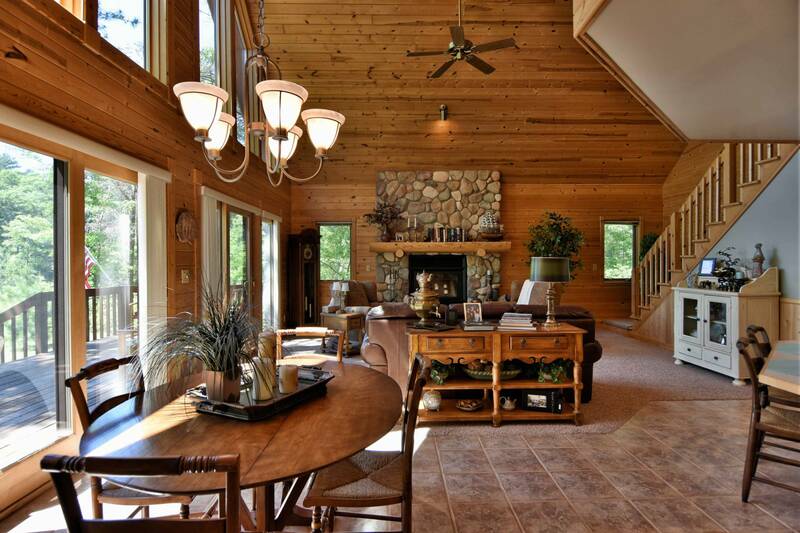 Outstanding custom built chalet home on highly desirable Minong Flowage. 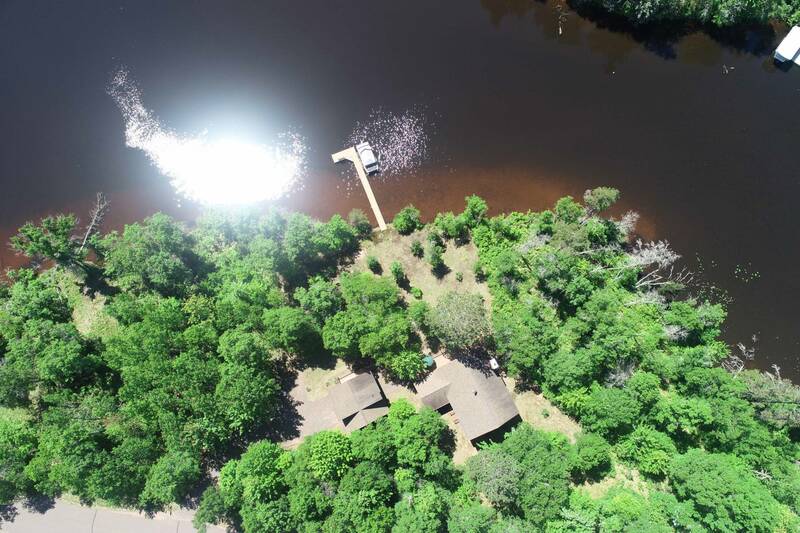 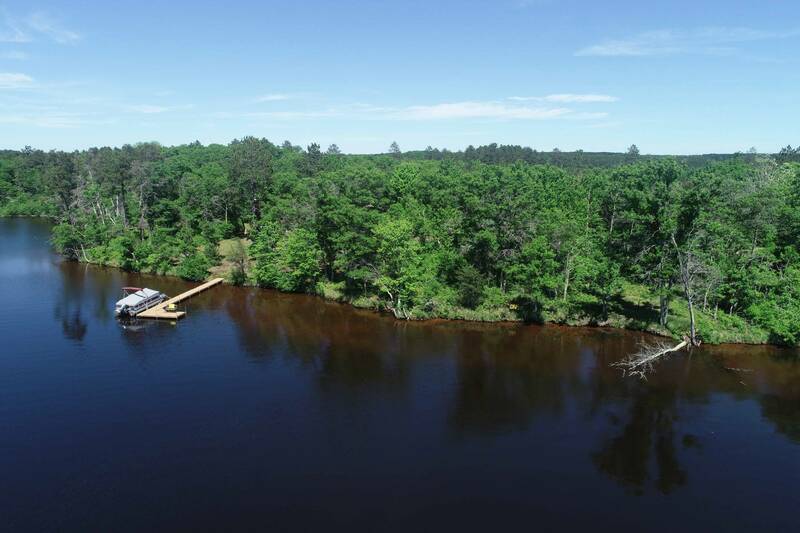 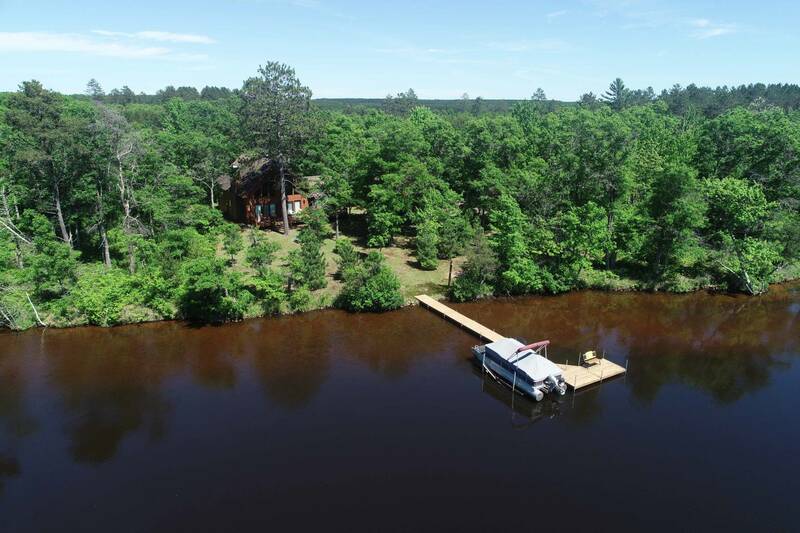 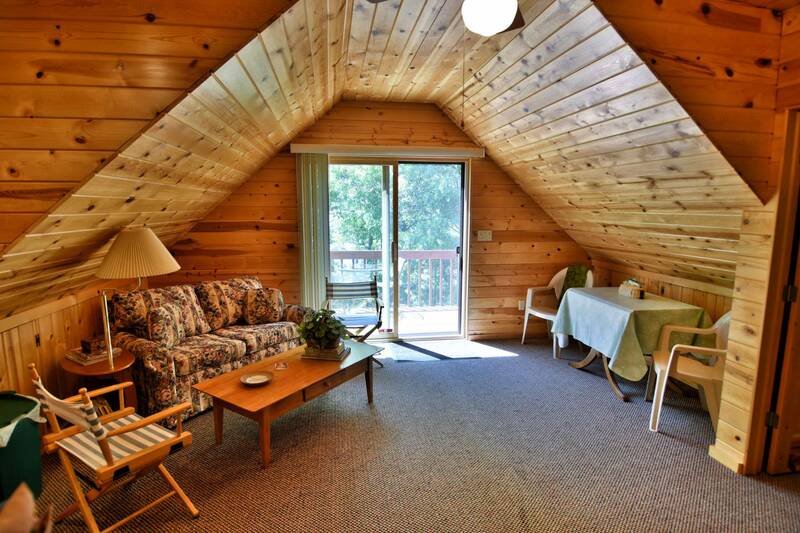 676′ of table top lake frontage makes access to the sandy bottom recreational lake easy. 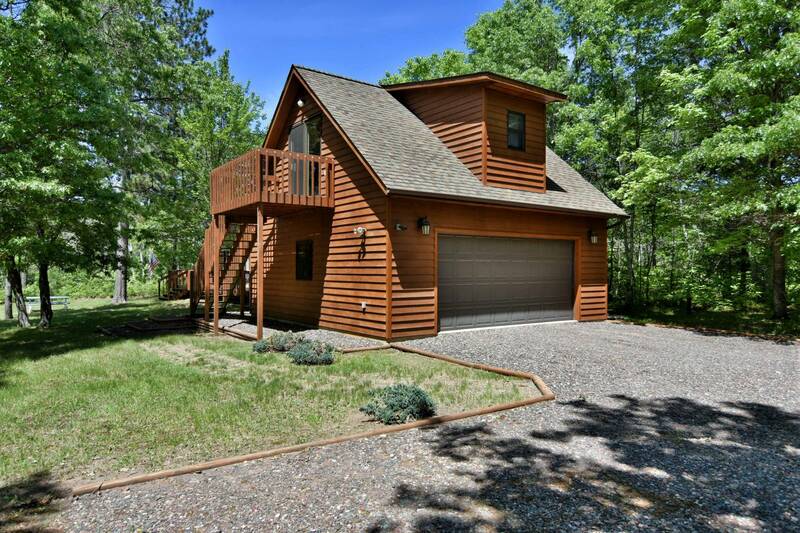 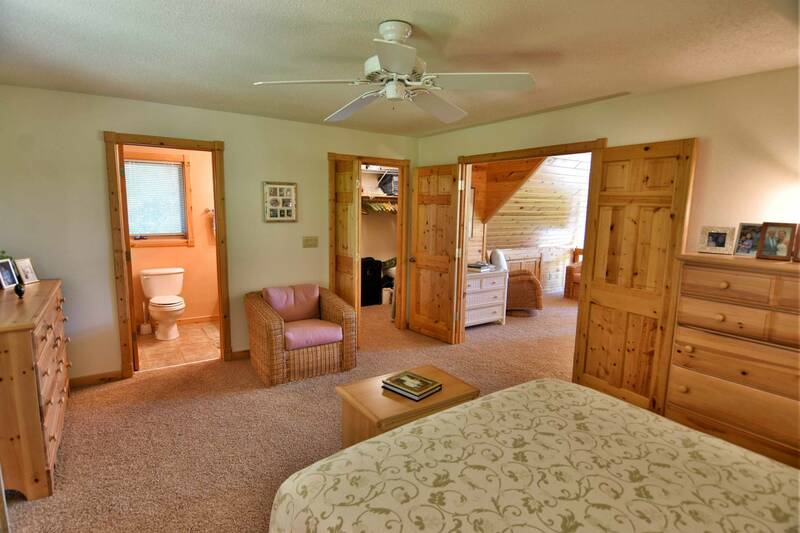 Lot is well wooded and very private. 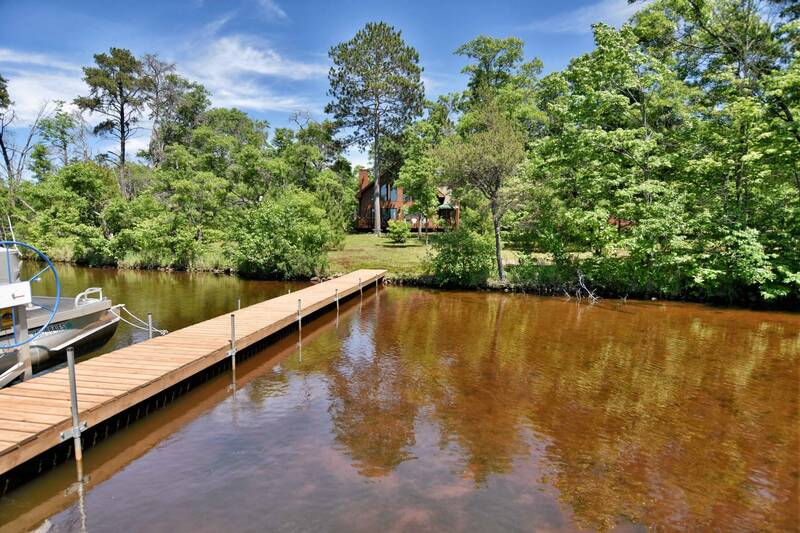 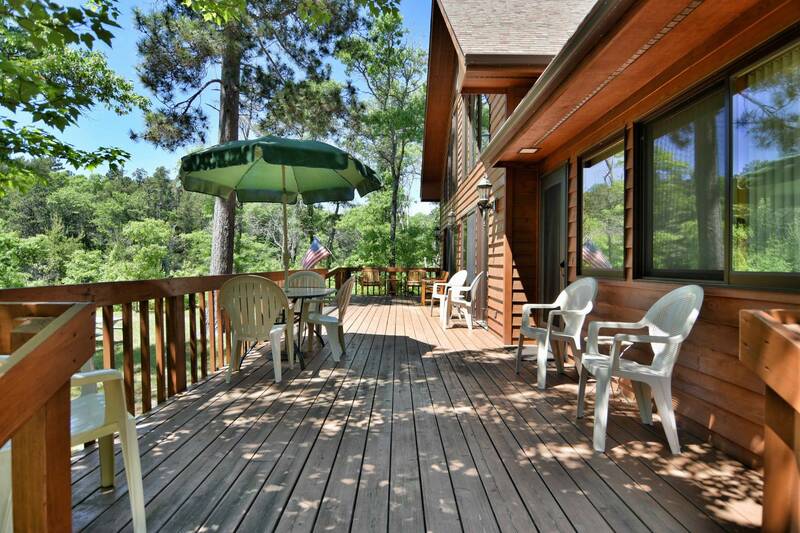 Home/large lakeside deck offers great views of the water. 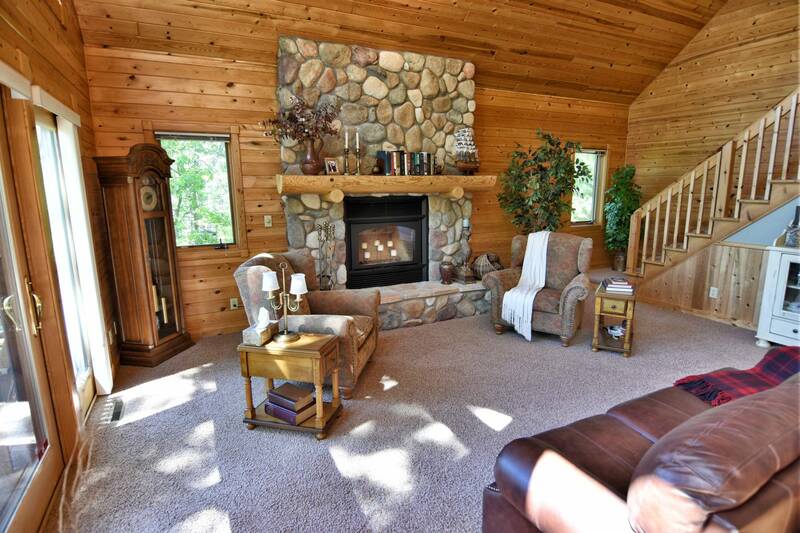 No expense was spared on the construction which features stone fireplace, 4 season room, loft suite, custom pine trim and pine vaulted ceilings. 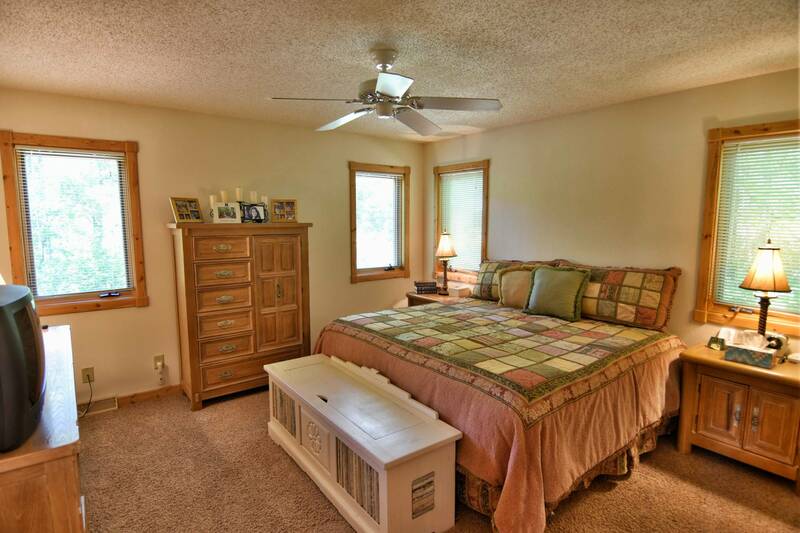 Owners lived in the apartment above the detached garage which includes additional bath & kitchen.